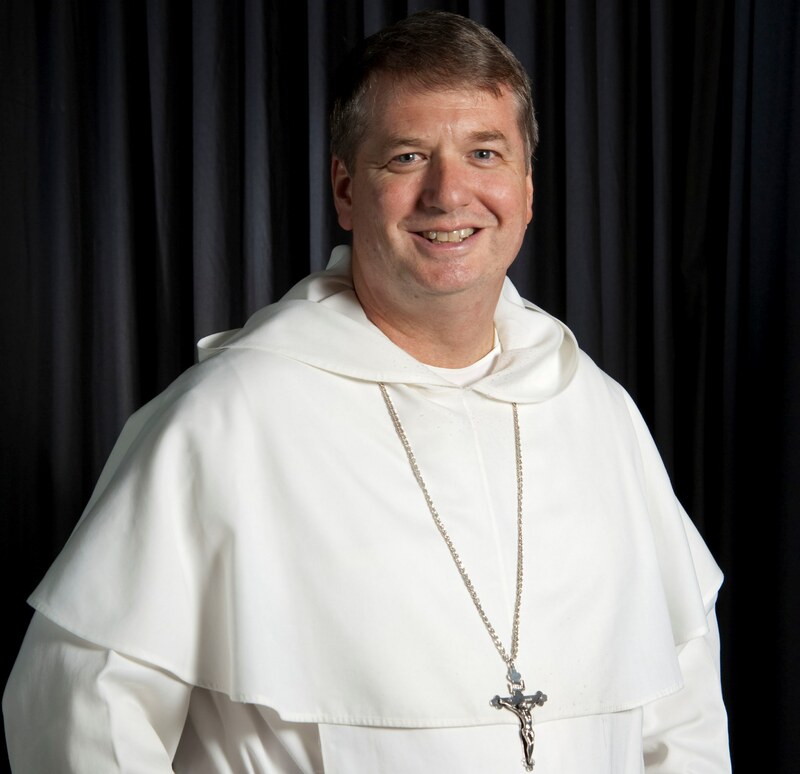 Overnight Pope Francis appointed Bishop Anthony Fisher OP the ninth Archbishop of Sydney. Bishop Anthony will continue to administer the Diocese of Parramatta until he is installed as Archbishop later in the year, most likely in mid-November as there is a maximum two month window by canon law (so no change in the Eucharistic prayer for now!). While it is sad to see him leave the Church of Western Sydney for the east, the connections will continue and his appointment will bring renewal and vitality not only to Sydney but, I suspect, to the national church (for those interested in the nitty gritty of church administration, once the new Archbishop is installed the College of Consultors of Parramatta will appoint a diocesan administrator and onwards we go!). At this morning’s press conference, +Anthony underscored the Catholic Church as the largest multinational organisation in the world and therefore well equipped to play its role in fostering and building up the harmony and social capital of our society at a time when tensions and fears are at a peak. 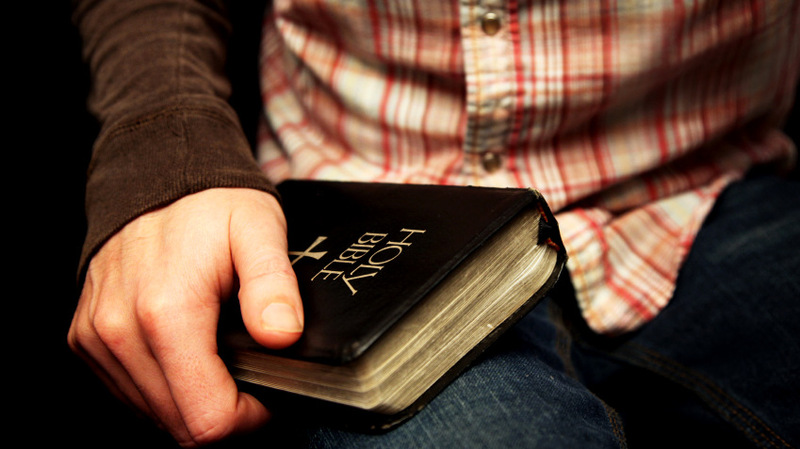 Catholic education is an ongoing priority as are the connection of young people to the Church which needs their faith and leadership, both now and into the future. +Anthony also underscored the seriousness with which he and the Church takes the scandal of abuse and remarked, ‘I think the Catholic Church is going through a period of well-deserved public scrutiny and humiliation and certainly self examination, but I hope we’ll emerge from that purified, more humble, more compassionate and be spiritually regenerated’. A good summary of his comments this morning can be found here. For the past four years I have been privileged to work for and with Bishop Anthony in the area of adult formation and then in the development of a pastoral plan for the Diocese of Parramatta, a project which had not been undertaken in the past with significant vigour. When the potential of diocesan-wide strategic planning was first aired over a cup of coffee in late 2011, I did not anticipate the theological and pastoral learning that would follow, not merely from the process of bringing about a common vision and intent among the parishes, clergy, agencies and ministries of the diocese, but from +Anthony’s own style of leadership and governance. In exchanging ideas about organisation of ministries, parish life and structure, pastoral outreach, the mission of the Church’s social services, financial considerations and canon law, all in the effort to foster new norms for the diocese and its communities, there was always a good sense of humour and genuine companionship. There is also leadership which includes an ability to articulate what a better future looks like, and a commitment and strategic mind to bring it to life. His involvement with the pastoral plan has been anything but a ‘tick-a-box’ exercise and the ongoing commitment to deliver what we promise has been the standout feature of his episcopacy since his installation at the beginning of 2010. On a personal note, he has been a wonderful shepherd and been present in the high and lows of some of our lives in ways which should remain private. Suffice to say, it is rare that one works with a leader over years, in a project of great change and overwhelming detail, only to grow in fraternal affection and respect of their person as a Bishop, colleague but most of all as a Christian disciple committed to the harvest, all the while imploring the graces of God. Present within +Anthony’s ecclesiology is a keen recognition that the Church is both a gift and task, and that church planning does not represent a lack of faith in God to bring us to greener pastures but rather is a response of faith to the gifts, people and resources with which we had been bestowed for His mission. There is a recognition that parishes need to be re-imagined not merely as congregations but entire pastoral areas in which there are many Catholics who were distant from the Church and still others who did not yet know their home was with us. Parishes bear a responsibility to all those in their midst, for their spiritual care, vocation and yes destiny, and therefore must be missionary in intent and missionary in practice. Directed the building of the new Holy Spirit Seminary at Harris Park which is now fully occupied. 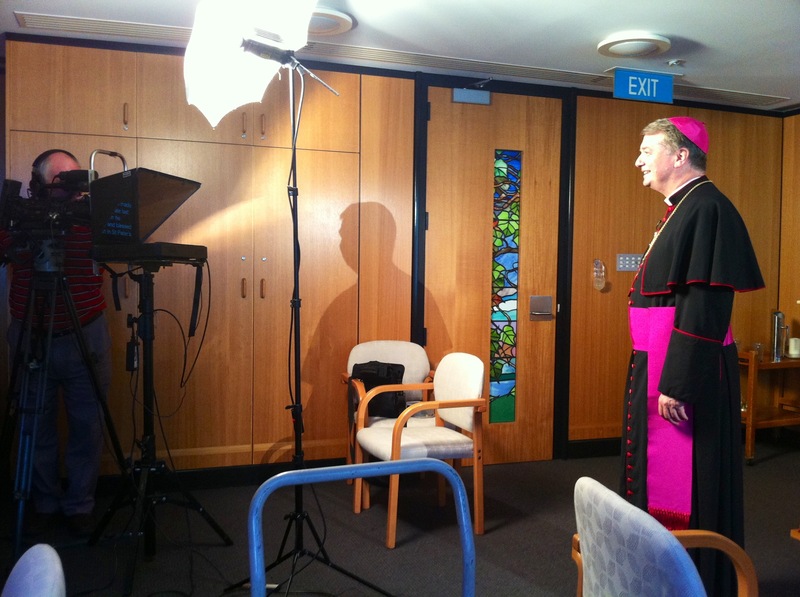 There are a number of other ‘big picture’ plans that will proceed and be realised in the Parramatta Diocese over the time to come, thanks to his contribution to the Church of Western Sydney. The Church can be an overwhelmingly complex organisation, with various concerns on the table at any one time but the overriding mission to proclaim the Gospel and build up the Church for the sake of the Kingdom remains a clear point of purpose and mission. +Anthony has exercised this mission in the local church of Parramatta with vigour, calmness and great competency and he will no doubt continue to share those tremendous gifts with the Australian Church in the years ahead. 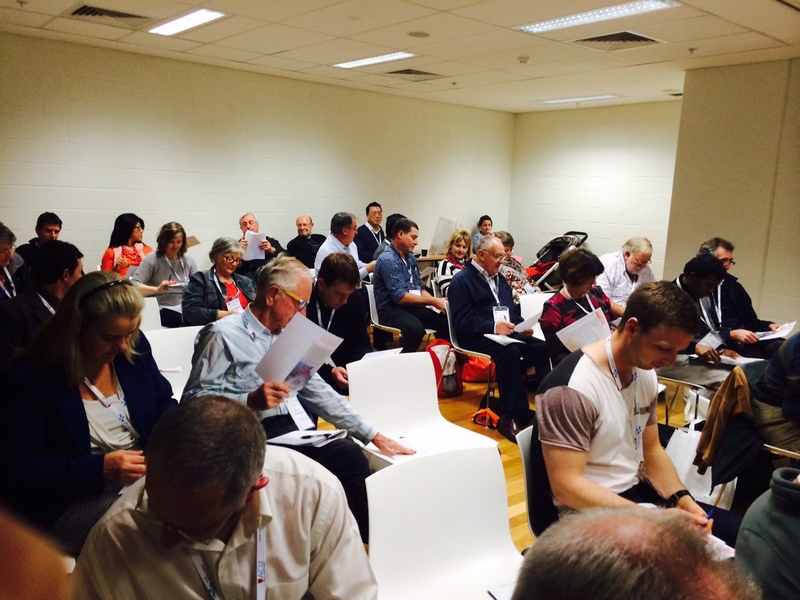 Some 550 delegates from Australia, New Zealand and Papua New Guinea gathered at the Proclaim Conference 2014 this past week in Sydney to listen to leaders in parish ministry and evangelisation. These practitioners included the authors of Rebuilt, Fr Michael White and Tom Corcoran, representatives of other Christian denominations, and Catholic lay men and women committed to transforming their local communities. It was a whirlwind of three days, with almost forty workshops made available and addressing RCIA, faith support for families, the quality of parish leadership, ordained and lay, issues of disability and inclusion in our parishes, liturgical practice, and the use of new media in parishes, among others. The best aspect of the conference for me was to connect with old and new friends, to experience the solidarity of so many others seeking to live the same mission, and to hear and weigh up the many complex issues that are involving in living what is, at least in principle, if not in practice, a simple and holy mission: to allow the life of the Gospel, the life of Jesus, to radiate within and flow out of the heart of our parish communities into the world that hungers and awaits a Word of life and hope. I was also privileged to present a workshop at the conference which I share below in the hope it might trigger your own reflections on how you might best lead your parish community into a better future (for more regular readers of this blog, it contains many of the views expressed previously but not yet shared with a wider audience). A PDF of this presentation as well as a resource I handed out – the ideal parish pastoral plan (at least as I imagine it!) – is also available at the end of this blog if it is of help and interest to you. It is fair to say that the parish remains the primary experience of Church for many Catholics. There is much to celebrate – the commitment of our leaders, ordained and lay, various forms of pastoral activity and outreach, the living faith that makes these communities a true spiritual home. However, we are also conscious of the many challenges that face our parishes. Among these is the decline in the number of those attending these communities on a weekly basis. Indeed, researchers have described the parish as having reached a ‘critical moment’ in the life of the Australian Church. We know that of our 5.4 million Catholics in Australia only 662,000 or 12.2 per cent join us for Eucharist on any given weekend. Almost a third of these Mass attenders (some 220,000) are aged between 60 and 74 while of all Catholics aged between 20-34 in Australia, only 5-6% attend. So we are witnessing an ageing congregation with fewer among younger generations to replace them as we move into the future. Migrants, of course, account for over 40% of our Mass attenders. We are indebted to and sustained by the participation of these diverse ethnic communities. However, we also know that second generation Australians, that is, the children of Catholic migrants, are far less likely to practice than their parents. Furthermore, some 13,000 Catholics stop attending Mass each year, and across all age groups more than 20,000 Australians every year are ceasing to identify themselves as Catholic (a dis-identification of some 100,000 Catholics over the last five years). 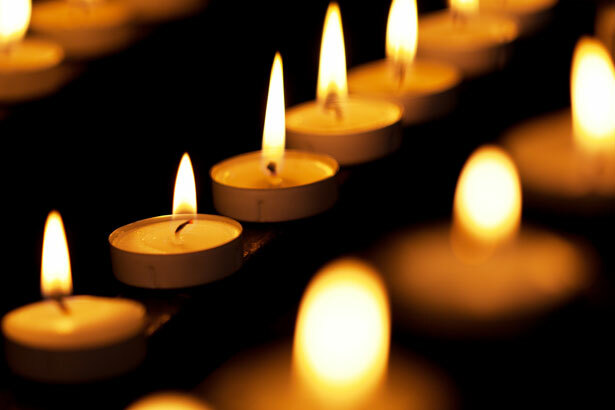 As Dr Bob Dixon, among others, has recognised, the prospect that this situation raises in our lifetime is that of ongoing Catholic institutions, including schools, colleges, universities, hospitals, nursing homes and aged care facilities but fewer parishes where the worship of God enjoins a community of believers. 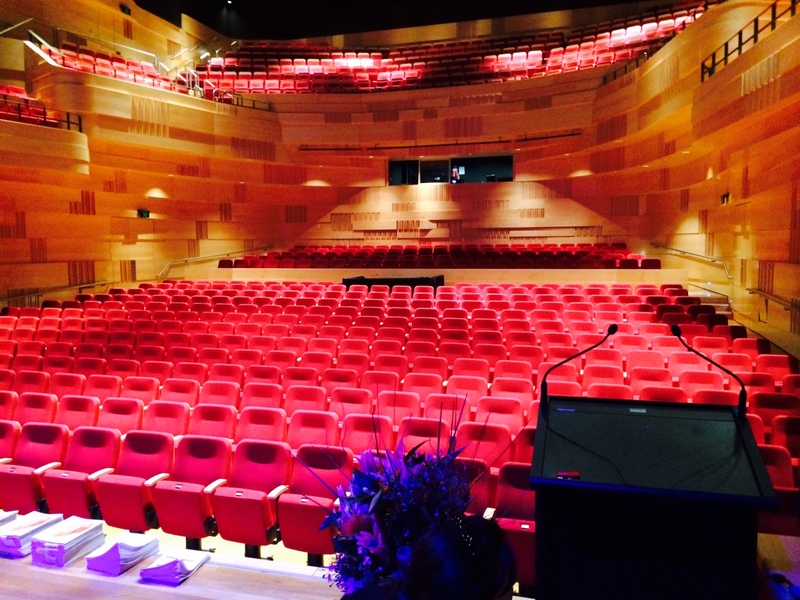 The related concern is that the Church in Australia will be reduced to a form of non-government organisation, a provider of services – including healthcare and education – but whose religious dimension is associated more strongly with their historical origins rather than their existing or ongoing spirit. It becomes clear that we need our Catholic parishes to grow because they are integral and indispensable to our spiritual identity as a Church. Together with the family, the local parish remains the primary venue where faith is given shape and social support, fostered into discipleship and then enters the world, impelled by the Word and Eucharist. In all these ways, the future of the Australian Church relies on the vitality of the local Catholic parish. It is challenging, then, to concede that many of our parishes have few or no plans to grow, have no explicit vision for making disciples, and can assume people are growing and disciples are being made despite evidence to the contrary. Indeed, it could be said that we do not often talk about ‘Church growth’ or ‘growing the Church’, apart from the occasional appeal for priestly vocations or in the context of planned giving campaigns. Some would regard talk of ‘Church growth’ as rather bureaucratic or managerial in tone, a language more at home in the Business Review Weekly than the Gospel of Jesus. And yet . 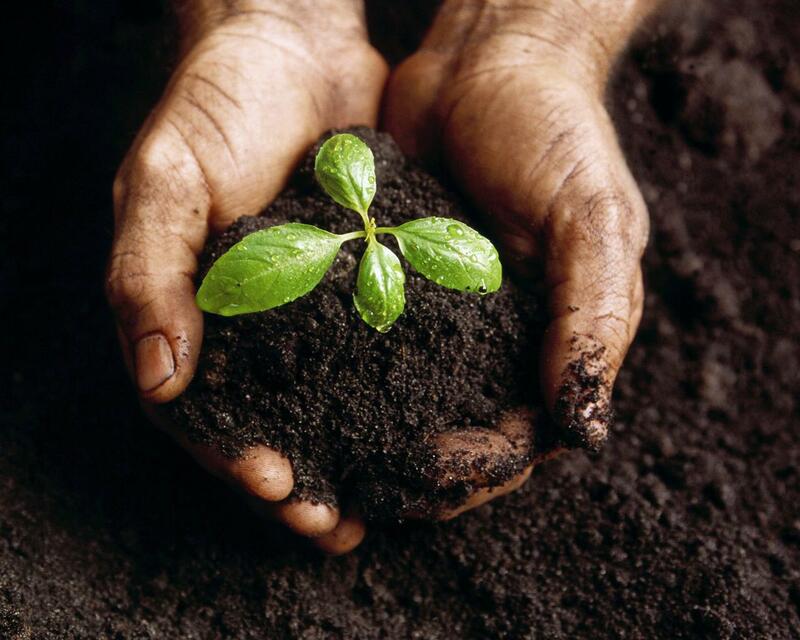 . . God calls our Church and our parishes to grow. From the commission given to us by Jesus himself, ‘Go . . . and make disciples of all nations, baptising them in the name of the Father, and of the Son and of the Holy Spirit, and teaching them to obey everything that I have commanded you’ (Matt. 28:19-20) to Vatican II which exhorts the Church in Christ, to ‘pray and labour that the entire world may become the People of God’, the call to grow is an essential element of our identity and calling as a Catholic Church and as Catholic parishes. We have been given a mission of grace (baptising into the life of Christ) and a teaching mission (as 2 Peter 3:12 affirms, to assist our people ‘grow in the knowledge of the Lord’). In other words, we are being asked to go deep and wide. While this may seem obvious, I propose that many parishes have not made growth in faith and the gaining of new members the explicit goal of their life and ministries, and dangerously only assumed them to be so. Without this clarity of purpose and a deliberate intent to expand, parishes can be resigned to a ‘decent minimum of religious conformity’ awash with verbal formula, exterior practices and too many undigested experiences of Mass and the Church among their members. However, a ‘no growth’ mentality or complacency has its consequences. When asked, 60% of Australian Mass attenders reported only some or no spiritual growth through their experience of parish life. The very real danger is that when people don’t grow, they begin to question their commitment and some are even tempted to leave. Meanwhile, 72% of Australian Mass attenders reported that they would not or did not know if they would invite someone to their parish. It tells us that not everything we do as parishes makes disciples and, furthermore, when people are not growing they are not able to be witnesses for Christ in the wider community. So, as a first step towards renewing parish culture we need to reclaim the basic commission of the Gospel to create better disciples and more disciples, both at the same time, ‘adding to our number’ as the Acts of the Apostles would express it (Acts 2:47) and becoming ‘mature in Christ’ (Col. 1:28). If spiritual and numerical growth, growing in and as Church, does not shape the way we do what we do, our communities can become caught in directionless routine with much movement but very little progress. Moreover, without the goal and the expectancy of growth, our parish workers can be caught dangerously between dedication and despair. Without the desire to grow and actual plans to bring it about, we end up drawing on the same, small pool of laypersons for parish ministry and service, we struggle with succession in ministries leading to burn out and fatigue of our existing members, we become trapped in a self-affirming culture that neglects our God-given purpose to evangelise, and even risk becoming communities that are content or resigned to grow old rather than move forwards. Hence, growth matters. The point made by the ressourcement theologian Henri de Lubac of the life of the Church in general applies to the life of the parish and its members in particular – interiorisation (the process by which the Gospel penetrates ever more deeply in the Spirit) goes hand in hand with universalisation and evangelisation (an awareness, commitment and outreach to others in that same Spirit). The deepening of our personal life in Christ leads to an expanding capacity to serve others. We are called to grow in both person and community. It is a great tradition of our life and liturgy that in seeking to grow we must first name those obstacles that prevent us from growing in discipleship and that limit our outreach to those beyond the pews. There are a number of contradictions that could be named. Firstly, while our parishes are called to be ‘schools of prayer’ we often assume our people know how to pray when Romans 8:26 reminds us that ‘we do not know how to pray as we ought’. 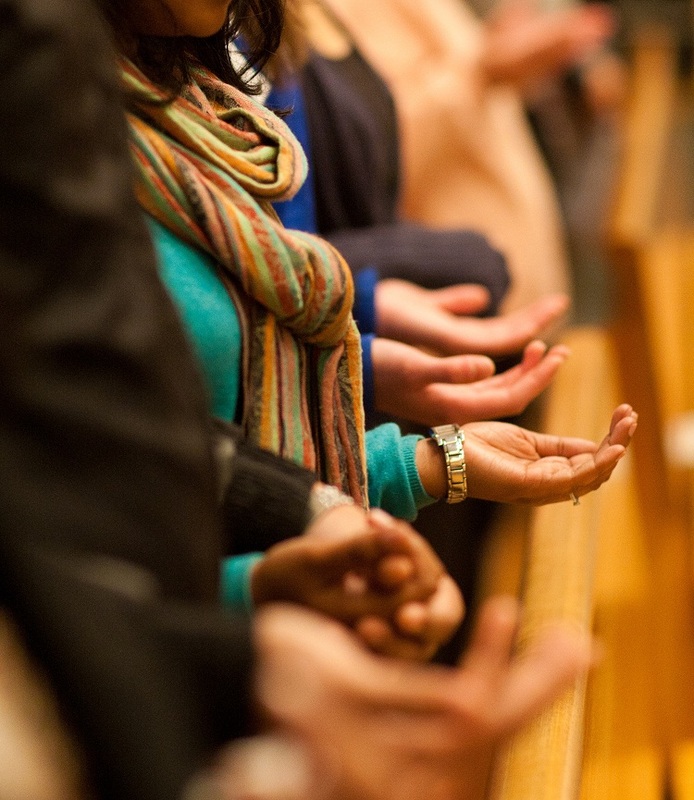 The Gospel reminds us that prayer is taught and learned, just as Jesus teaches his disciples how to pray to the Father, and yet there can be few opportunities to learn the practices and traditions of prayer in everyday life for the people in our pews. There are few prayers for miscarriage, neonatal loss, parent-teen relationships, chronic sickness, life aspirations and personal crises. Parishes can support their people to express their faith and experience in words by teaching and guiding prayer, both personal and communal, support that is not always extended. We can also assume our parishes are welcoming. However, we can measure this by the relationships between existing members of our communities rather than the experience of the newcomer. When a sense of welcome and belonging to parish is thin, people can fail to graduate from being ‘mere attenders’ to becoming active participants in the mission of God which this community seeks to serve in the world. Above all, we can assume that those coming for the sacraments are already, ipso facto, disciples. However, as Sherry Weddell estimates, as little as 5% of our Mass attenders could be described as ‘intentional disciples’, as having made the conscious and personal decision to live as a disciple of Christ as their saviour and Lord. 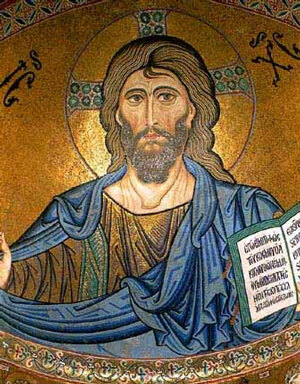 Not all of our Mass attenders have allowed the Gospel to become the overriding, internal authority of their lives. It is a curiosity of Catholic culture, as Weddell goes on to note, that those who do openly talk about Jesus and live enthusiastically in relationship to him can be viewed with suspicion, as ‘Protestant’ in spirit or else pretenders to sanctity (as Weddell concludes ‘we don’t know what normal is’). In terms of fostering intentional discipleship, an obstacle that can stymie the personal growth of people in our pews is an almost exclusive emphasis on the sacraments which, ironically, can obscure the full life to discipleship for which the sacraments exist. Pope Francis notes in Evangelii Gaudium that in many of our parishes ‘an administrative approach prevails over a pastoral approach, as does a concentration on administering the sacraments apart from other forms of evangelisation’.
. . . baptisms, confessions, weddings, funerals, daily devotions, anointing, and adoration. It’s all good stuff, it’s how some Catholics grow spiritually. For others, it’s what they do instead of grow . . . For certain, the sacraments give us grace to put us in right relationship to God and his life in our soul, nourishing and strengthening us for our discipleship walk. But they’re not mean to replace it. The point being made by Pope Francis and Rebuilt is that people in our parishes can be ‘sacramentalised’ without being evangelised. Sacraments only make sense in the context of a life of discipleship; they can never replace it. The problematic is that if the whole concept of ‘discipleship’ is reduced to liturgy or Mass attendance alone, then even the practice of attending Mass is likely to weaken over the long term as the very point of a sacramental life is lost on those participating. Sacraments nourish a life of discipleship that already exists, they cannot substitute for it. The grace that the sacraments make present needs to be received by a life of faith, by a ‘positive disposition’ as the Church describes it, within the context of a personal relationship to Jesus that opens the heart and will to conversion in love (indeed, some have questioned whether the Catholic Mass while evangelising in principle is often so in practice on account of the uneven religious literacy of our people and the uneven quality of much liturgical music and preaching). On the level of formation, the teaching mission we have received from the Gospel, it is worth noting that the emphasis in parish communities has traditionally fallen on the catechesis of children and youth. Understandable we want young people in our parishes for their vibrancy and energy as well as the tangible hope that they bring. However, we need to acknowledge that young people will not be attracted to parishes or communities that show no energy or dynamism in themselves. We need a parish focus on adult formation as adult Catholics witness to younger Catholics what a mature faith looks like and the formation of adults creates a context which supports the life of faith of everyone in the community (as they say ‘a rising tide floats all boats’). If we want to raise the standard of discipleship in the Church then adults who are prayerful, steeped in Scripture, theologically literate, articulate and committed to justice must be the new norm. Only then, in fact, will the faith of young Catholics naturally aspire to more than intergenerational conformism. When we consider our parishes, the sources of formation for the majority of those who attend can be limited to essentially the parish bulletin, a homily preached well or otherwise, and perhaps the sign value of the sacraments. We are, if we are honest with ourselves, often relying on the fact that new and established members of our Church are simply ‘putting it all together’ by themselves, an optimism that that is not supported by the reality of parish decline. From observation, people are grasping only fragments and from the outside. Finally, there can be a predominance of insider thinking, ‘Church world’ as the authors of Rebuilt name it. This rather skewed perspective can be signified by the simple practice of advertising Christmas Mass times in local newspapers. While this is a good and proactive endeavour, it is worth remembering that, in terms of evangelisation, people are not staying away from our Masses because they do not know what time they are on. People are not coming to Mass because they do not see any point in doing so, because they don’t see any connection between what the parish might be offering and their life that they are living or aspired to bring about. If we get caught in insider-thinking as parishes, we can fail to see that people are not going to come to our parishes if they have no idea why they should. This leads us neatly from our challenges to our potential. In light of the trends impacting on our parishes with growing intensity, and the present dynamics of some parish cultures, it is evident that if we want to reach people we have never reached before, we have to be prepared to do things we have never done before, and have a new heart for the Great Commissioning to grow the community of God. One certainty is that parishes do not grow if leaders and parish teams do not want them to. We cannot assume parish and ministry group leaders want to grow their community when there are no specific plans or intentions to do so. It is interesting to note that emotions in a parish can pour out over changes to buildings, Mass times or parish structure but rarely do they pour out over the absence of newcomers from our pews. Perhaps our hearts can be set on stability rather than growth. I was once asked by a parish pastoral council to name the biggest obstacle to evangelisation. In my view it would be a lack of faith that the Gospel is worth sharing. Parish leaders and ministry groups must have the desire to grow, have a renewed belief in Jesus and his Church so that our parish programs and processes may bear fruit. After all, programs do not make disciples; disciples make disciples. As Paul VI intimated, only an evangelised Church evangelises. Our parishes will grow when their leaders grow in faith, in the hope of possibilities unseen, and in a love that grows through the practice of love. A sign of a leader committed to parish growth will be one committed to their own growth in the spiritual life. To make this concrete, we might ask ‘what is the vision of your parish for its life over the next three years?’ Catholic parishes do not often articulate such a vision and yet are surprised that the commitment level is so low. Commitment will always be low when there is no direction, no sense of purpose and aspiration for the community. Note also that a vision cannot simply be put on a noticeboard; a vision has to be explained, shared and talked about time and again, explaining ‘where we are going’ on the basis of where we are. A vision also enables a community to evaluate itself on its performance. If a parish community clearly understands that ‘evangelisation of unchurched Catholics’ is its priority for the next three years, the parish can then ask questions when that doesn’t happen, and try and be more effective in that area. Without a parish vision or purpose, no questions are ever raised and there is no motivation to change and to grow. In speaking of the need for inspired leadership and a compelling vision, it will come as no surprise that parish planning is a particular focus of mine and a recommendation in bringing about renewal. While ‘pastoral planning’ sounds less glamorous than many other aspects of Church life, it is indispensable for communities to cultivate the type of discipleship which we seek as a Church in response to God. All communities need to make plans because wanting to grow is not enough. We need to plan to grow and be explicitly organised to grow the faith of our members as well as to evangelise. Indeed, church research reveals that making no plans for growth results in little or no growth every time. Without a commitment to planning, church communities and ministries do not grow and, in fact, risk decline. The alternative to a vision for growth, as we have said, is directionless and unresponsive routine. 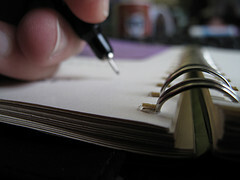 When a community has a clear plan, including a vision for where it wants to be in three years’ time, and actions, time frames, and owners of those actions to bring them about, it also becomes possible for parishes to let go of activities and groups that do not make disciples or help them to achieve their goals. 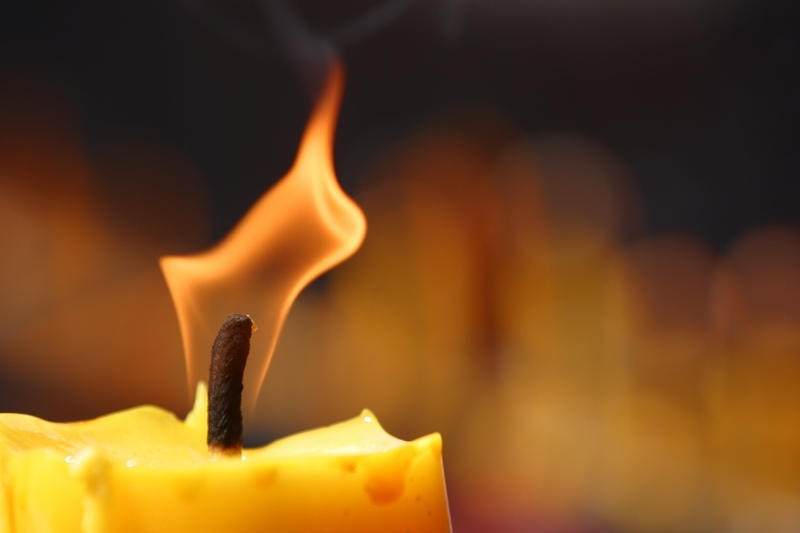 Planning reminds a parish that its mission is not to preserve ashes but to keep a fire alive. In terms of parish evangelisation out of the pews, to the 90% of self-identified Catholics on the margins of our parish life, a first step is to recognise that these ‘unchurched’ Catholics we seek to reach for Christ are not strangers ‘out there’ nor are they statistics without names or faces. The unchurched are in our homes, sitting at the dinner tables of practicing Catholics! They are our relatives, friends, and neighbours who identify as ‘Catholic’ in some way but do not participate in regular worship or intentional acts of Christian service. It follows that reaching the unchurched is a matter of skilling and empowering practicing Catholics to start the conversation about faith with relatives, friends and neighbours. Unfortunately, as we have noted, resources and practical assistance to prepare our people for this task is rarely found in our parishes. It is worth noting that some Baptist communities offer workshops to support wives in faith-filled conversations and relationships with their husbands who are often less likely to attend a weekend service. 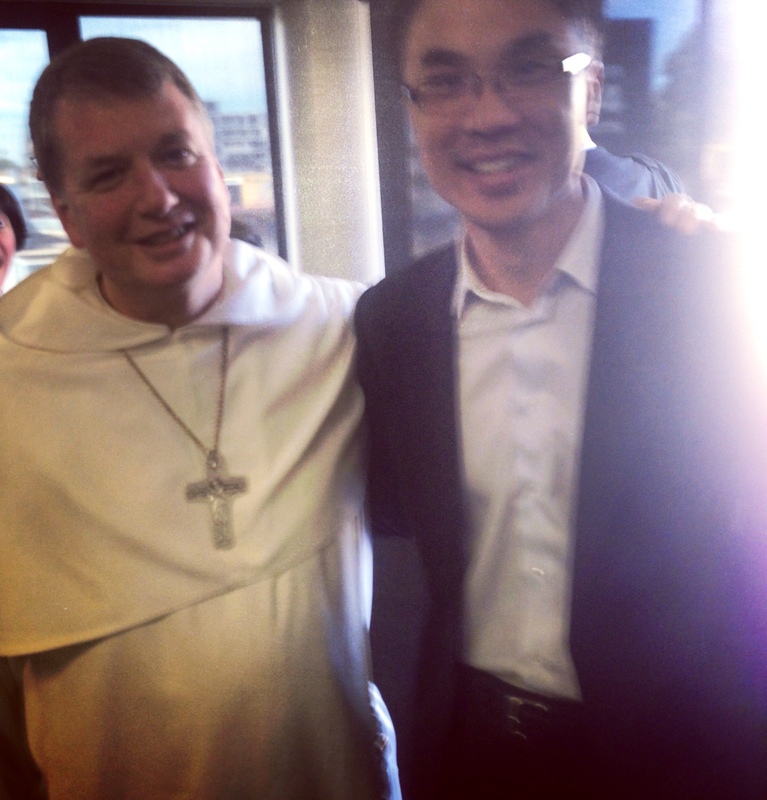 It recognises that evangelisation takes place via the relationships and via the bridges of credibility in our lives. Again, disciples make disciples. We need to form practicing members of our Church to have the confidence in faith, skills and relational sensitivity to reach out to those they know and love with the Good News of the Gospel. Another key strategy for growth is small groups and Rebuilt affirms this as a direction for all parishes to consider. It is interesting to note that the National Church Life Survey revealed that Australian Catholics, when asked, valued ‘community life’ as one of the most valued aspects of parish life. However, at the very bottom of this scale was ‘small groups’ and ‘reaching out to others’. And yet, it is precisely by small groups and the invitation of others that most Catholics find their way into the heart of the Church as a community of faith. Our Catholic masses are often just too large for people to feel instantly at home. Most of us have come into the heart of the Church through a small group of some description, whether that was a youth group, prayer group or other association. Small groups are one way in which people can explore and grow in their faith in the context of a personal and supportive network of disciples. 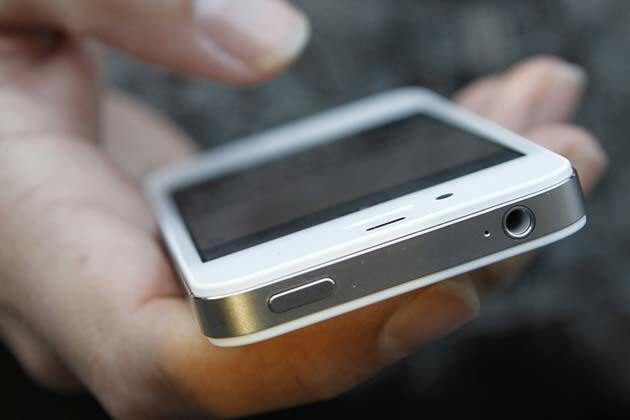 To make the point a different way, no one knew they needed an iPhone until Steve Jobs invented one. As a Church we are similarly challenged to offer our people the small group they never knew they needed, whether that be a group of prayer and reflection, Scripture study or missionary outreach which develops their personal relationship with Jesus in the midst of others. Finally, another indispensable measure by which we can focus on the unchurched is to pray that the outreach of the parish will be effective. Prayer brings us to what is most important to us in our life of faith. Praying for the parish mission to be effective, praying that members will reach out to others with joy, praying that relationships will be transformative, places our efforts to evangelise in the heart and hands of God and in the heart and hands of the worshipping community. A parish that is not praying for new members, that does not explicitly name those who the parish is trying to reach for Christ, can be reasonably questioned on the seriousness of its intent. We can be tempted to feel at times in ministry as if there was not enough time for prayer, but in fact the spiritual tradition tells us that a lack of prayer leads to a lack of time for the things that matter. We need to pray so our hearts desire growth. Once our hearts desire that goal, we will find the time and take the action needed to see our parishes grow in life and measure. We have surveyed the pastoral reality and underlined the need of our parishes to grow as the foundation of the Australian Church. We have retrieved the need for parishes to set themselves the goal of actual growth in faith as well as numerical growth in response to Jesus’ commission to the Church. We have seen the consequences of a ‘no growth’ mentality and of assuming our people are becoming disciples by the sacraments alone. We have affirmed the need for leaders with a heart and vision for growth, parish communities with an explicit and articulated purpose, formation that focuses on and talks about discipleship and conversion, small groups to create the bonds of faith that grow discipleship, and communities that pray for and implore the graces of God in this mission. As Pope Francis remarks, ‘[God] always invites us to take a step forward, but does not demand a full response if we are not yet ready. He simply asks that we sincerely look at our life and present ourselves honestly before him, and that we be willing to continue to grow, asking from him what we ourselves cannot as yet achieve’. As parishes we need to look sincerely at our life and be willing to continue to grow, all the while imploring the graces of God. In the light of our reality and in the light of faith, we must desire to make disciples and proclaim boldly that in the face of human needs God has provided a response in the person of Jesus. May we live this mission well in the service of the Gospel and in the service of humankind. Dr Robert Dixon, ‘The Catholic Community in Australia: Context and Challenges’, Presentation at the Pastoral Research Office Conference: ‘Beliefs and Practices of Australian Catholics’, 20 February, 2014. Thomas Merton, Inner Experience: Notes on Contemplation (London: SPCK, 2003), 2. Henri de Lubac, ‘Christian Explanation of our Times’ in Theology in History, translated by Anne Englund Nash (San Francisco: Ignatius Press, 1996), 452. John Paul II, Novo Millennio Ineunte 33. Sherry A. Weddell, Forming Intentional Disciples: The Path to Knowing and Following Jesus (Huntington, Indiana: Our Sunday Visitor, 2012), 62. Pope Francis, Evangelii Gaudium 63. Michael White and Tom Corcoran, Rebuilt: The Story of a Catholic Parish (Notre Dame, Indiana: Ave Maria Press, 2013), 77. Cf. Jane Regan, Toward an Adult Church: A Vision of Faith Formation (Chicago: Loyola Press, 2002). White and Corcoran, Rebuilt, 43. Paul VI, Evangelii Nuntiandi 15. See Ed Stetzer and Mike Dobson, Comeback Churches: How 300 Churches Turned Around and Yours Can Too (Nashville: B&H, 2007), 71–2. Dr Claudia Mollidor, ‘Parish Life – Who’s Involved and Why?’, Presentation at the Pastoral Research Office Conference: ‘Beliefs and Practices of Australian Catholics’, 20 February, 2014. Pope Francis, Evangelii Gaudium 153. This week brings two conferences of significance for the Australian Church and at which I am grateful to be sharing some thoughts. The first conference is CDMC, the Catholic Digital Media Conference (19-20 August, 2014) while the second event is Proclaim 2014 (21-23 August, 2014). The potential to learn new skills, hear the collective wisdom of those practicing leadership in various Catholic fora, and gather with old and new online and real world friends makes these days a great source of personal and collective renewal. The particular focus of CDMC is to offer insight from new media practitioners on how the Catholic Church and its agencies can use new media and social media to share the Gospel. While not prolific online or an expert in any sense, I shared the reflections below near the conclusion of this conference before joining a panel discussion to break open some of the contributions of the two days with fellow speakers. I hope these thoughts will be value to those wrestling with the nature and extent of the Church’s engagement with new technologies. Digital technology represents a rich and challenging way of participating in God’s mission, and a frontier which can give new life to the Church. As a potential vehicle for evangelisation, digital media calls not simply on technical ability or ‘know how’ but invites our theological vision as Catholics of the possibilities that God offers us in this moment of ‘radiant ripeness’, when what is ancient and simple ‘[mingles] with what is new and strange’. As people of the Incarnation and the Cross we are bound to recognise that there is overwhelming promise in emerging technologies as well as a shadow side to these developments. The Church and its communicators enter this space aware of the ways in which digital media can reveal and share the joy of the Gospel, calling humanity to its deepest destiny, and the ways in which this same technology can erode a sense of self, human vocation and community. The Canadian philosopher Charles Taylor points out that in our cities in particular, where large numbers of people rub shoulders, are unknown to each other, do not have direct dealings but yet affect and influence one another in thought, behaviour and expression, people can be caught between loneliness and communication. The use of social media perfectly manifests this swing between individualism and association with others for we can be alone with our digital devices and yet watch world events unfold, aware that hundreds or even millions of others are doing so at the same time. We can hover between a sense of isolation and a loose form of togetherness, vacillate between privacy and the spectacle of mutual display. The danger of this situation is that personal identity can be reduced to a matter of ‘being seen’ rather than being known, to the desire for publicity rather than authenticity. The notion of human community can also be emptied of its intimacy and personalism, reduced to the blips and squeaks of ‘a lonely crowd’. Even in matters religious, digital media can lead to superficiality, the ‘fortune cookie wisdom’ that fits neatly within 140 characters, as well as spiritual exhibitionism among even the committed, the virtual equivalent of wanting to watch oneself at prayer. But none of this is inevitable. While isolation and superficiality are risks of any human endeavour, we as the believing Church can bring real and lasting treasure to the myriad of human desires, experiences and quest for meaning that takes place online, playing our part in the humanisation and sanctification of digital culture and the wider world. As Pope Benedict has shared in his reflection on Christian engagement of new media, we as ‘believers encourage everyone to keep alive the eternal human questions which testify to our desire for transcendence and our longing for authentic forms of life, truly worthy of being lived.’ By keeping alive these eternal questions and engaging the concerns and events of the world in the light of faith, Catholic bloggers, commentators, and leaders can bring real depth and consequence to the digital continent. Catholic communicators can place before these vast audiences the sacred origin and sacred destiny of all humanity, the intrinsic dignity of each person that is at the same time a calling or vocation to encounter the person of Jesus, the ‘Perfect Communicator’, the living Word who speaks not only by a message but through the totality of his life and Spirit. In the light of faith and in His example, Catholic media can advocate for the forgotten victims of history (many of them voiceless in a technological age) and be for the world even if at times it must be for it by standing against its deficiencies. In the light of faith, the lonely crowds and fragile networks can be opened to the witness of a real and embodied community of Christ whose worship and values are seen to shape the practices and commitments of its members. In the light of faith, the Church can reach out to those in isolation and stand for the poor in spirit and circumstance, bringing the rich tradition of Catholic Social Teaching to bear on the needs of the present. In all of these ways, the Church can firmly take its place on the digital realm as a genuine locus of personal fulfilment and interpersonal communion. Pope Benedict would conclude that while our Church does not ultimately bring technical solutions to the problems afflicting the world, what it does bring is a faith-filled realisation of the deepest needs of humanity which are not merely social but spiritual in nature. It is by reading and responding to the world at these spiritual heights, or rather at these depths, that Catholic media can shape contemporary culture and its online participants in an active and ongoing way. On a practical level, I would suggest that despite the potential for such Christian influence, new technologies can run ahead of our ability to communicate as Church. While social media supplies us with opportunities that could not have been envisaged even a short decade ago, there is nothing automatic about our ability as Church to use this media effectively and to proclaim the Gospel with influence and real effect. Like all other gifts of God, including the Eucharist, we have to learn and reflect over time on how best to put these gifts into practice, on how to make these gifts come to life in relationship to others. In this respect, there are no ‘experts’, only better or lesser learners. One of the ongoing challenges for our Church in engaging social media is to recognise that it is indeed social media and not designed to be encyclopaedic, concerned with the delivery of a multitude of facts. Belonging to an articulate tradition as we do, a tradition which includes a body of sacred teaching, we can still be tempted to employ new media as a blunt instrument for the dissemination of information. This is no doubt where we started, when the documents of the Church and the catechism were first placed online, when Catholic encyclopaedias and patristic texts were uploaded and parish websites published their Mass times. Certainly, this supply of online information is valuable and has enabled greater and unrivalled access to the Christian tradition – Scripture, the writings of the Church Fathers, the manifold prayers of the Church – resources not instantly or as readily available to previous generations. We can affirm without hesitation that Catholic faith has content, a creed and beliefs, ‘that which it believes’, which calls to be shared and made present in the digital arena. However, what social media reminds our Church with some importance is that this creed, this faith, these beliefs, also need to be received, to be heard in a way that others can understand and enter into. Social media reminds the Church that evangelisation is more than the transmission of data, that it involves not only proclamation but dialogue, a dialogue with which proclamation has an ‘essential bond’. Digital technologies must certainly be engaged by the Church from a standpoint of conviction, made use of in the unwavering, true light of the Gospel who is Christ, but that unfailing light, identity and conviction can only be brought to bear on actual human lives through discourse and exchange, persuasion and empathy, listening as well as speaking, receiving as well as offering, all those dimensions of human relationship and interpersonal dynamics that contribute to personal conversion. In surveying the capacity of our social media to foster this sort of evangelising contact with others, it could be said that Catholic Twitter accounts, blogs and media can sometimes assume the religious literacy of their audiences, be prone to religious ‘shorthand’ or else address questions that are more germane to ‘insiders’ than ‘outsiders’. The danger of social media when it becomes self-referential, insular or rarefied in this way is that we can be essentially left talking to ourselves, conversation partners within a self-affirming Catholic subculture, while the wider culture moves on largely untouched and unmoved by the claims of Christian faith. We need to be realistic and not assume that our audience understands the full background to what we are saying, or is capable of relating what we say to the very heart of the Gospel which gives it meaning, beauty and attractiveness. If we confuse effective Church communication for ‘the disjointed transmission of a multitude of doctrines’ our people will, as they already do in our pews, hear only fragments and, what is more, hear them from the outside rather than as participants in a conversation of eternal significance. So how might the Church best be present within this digital world which remains only in its infancy? It strikes me that when the Church has encountered new cultural terrain, enters new territory or encounters unexpected social conditions, one temptation to which it can fall victim is the instant desire to construct parallel infrastructure to secure Catholic identity in the public square. This form of Catholic replication of existing cultural forms has been a well tried strategy of the Church in times past but one that has its limitation in terms of evangelisation. For example, the Catholic Church when founded in Australia quickly sought to develop a parallel school system to the State, established Catholic youth groups, Catholic debating societies, even Catholic tennis and bushwalking clubs aimed at the social and cultural reproduction of the Church. As the theologian Neil Ormerod points out, the aim was, in part, to ensure Catholics were held within the church from birth to death. One could travel through life with limited contact with ‘others’, whoever these ‘others’ might be, usually Protestants. Today in the realm of media, it is already possible to watch an exclusively Catholic television channel if one chose to do so. A similar strategy of mimicry could be attempted online, in which the Church seeks to replicate technologies and media channels to create Catholic-branded platforms which serve much the same purpose as existing secular media. However, I think this approach is misguided, not only because it is inevitably expensive to create a parallel Catholic world online but because it misunderstands the theological basis of evangelisation which is to interact with the world, not present a self-enclosed alternative to it. Yeast acts on dough, but it does not convert all the dough into yeast, nor is it able to do so or meant to do so. Its primary effect is to interact, and this interaction results in ferment and growth for both yeast and dough. Like yeast, we do not have to sacrifice our own identity to interact and dialogue with others but it is a part of our identity to interact, not to remain isolated or take over the space of the world (the catholicity of dialogue and exchange is well captured in the ‘retweet’, in our ability as Catholics to share that which carries insight but that did not originate from us). Catholic media should not, then, aim at the creation of Catholic enclaves in the digital world but must develop the ability to express, represent and dialogue in the name of the Gospel in the midst of the various media in which the world already expresses itself and reflects upon its circumstances, meaning and destiny. Again, this calls on the ability of the Catholic communicators to dialogue in the faith as well as to proclaim it with conviction. How tragic it is that they who have nothing to express are continually expressing themselves, like nervous gunners, firing burst after burst of ammunition into the dark where there is no enemy . . . They chatter themselves to death, fearing life as if it were death. There is only one thing that Catholic communicators are called to express – the life and spirit of Jesus who in revealing God reveals humanity to itself. It is his message and life that bears upon every dimension of culture and progress, that is capable of making our world truly human and of our diverse and demanding lives and work a meaningful mission. The task of communicators in the Church today is as wide as it is deep. They must make the case for digital technologies within the Church, by explaining and even, at times, defending their potential in a community that can grow slow. They must also educate or school themselves in the sources and insights of Catholic tradition while also standing at the window of the world, attending to the best practices in contemporary media and discerning how they might best serve the Gospel in a new time. Catholic media must even play a prophetic role for our Church, bringing the future into the present with the riches and insight of the past. While all of this is demanding, our Catholic leaders in media can do all of this with the confidence and faith that to the ever evolving landscapes of the world, digital and otherwise, God has already addressed a living Word and that Word provides the light and promise to our path. I hope to post my workshop from Proclaim 2014 in coming days which will focus on vision and practices for parish growth. Thank you for reading this blog and best wishes in your ministry and mission in the Church, Daniel. G.K. Chesterton, Chaucer (New York: Farrar & Rinehart, 1932), 185. Charles Taylor, A Secular Age (Cambridge, Mass. : Belknap Press of Harvard University Press, 2007), 482. Cf. David Ranson, ‘To be Seen or to be Known’, The Faith Project, 27 August 2012. Available online at http://www.churchresources.info/missionspirit/0909/RANSON.pdf. Accessed 19 August, 2014. 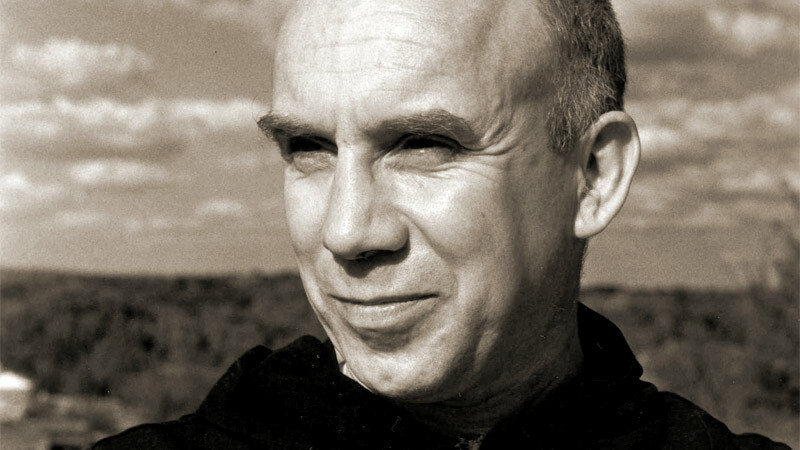 The Cistercian spiritual master Thomas Merton warns, with relevance to the digital realm, that for the sake of publicity we can forfeit our authenticity, ‘The logic of worldly success rests on a fallacy: the strange error that our perfection depends on the thoughts and opinions and applause of other men. A weird life it is, indeed, to be living always in somebody else’s imagination, as if that were the only place in which one could at last become real’. Thomas Merton, Seven Storey Mountain, 362. Benedict XVI, Message for the 45th World Communications Day. Available online at http://www.vatican.va/holy_father/benedict_xvi/messages/communications/documents/hf_ben-xvi_mes_20110124_45th-world-communications-day_en.html. Accessed 19 August 2014. 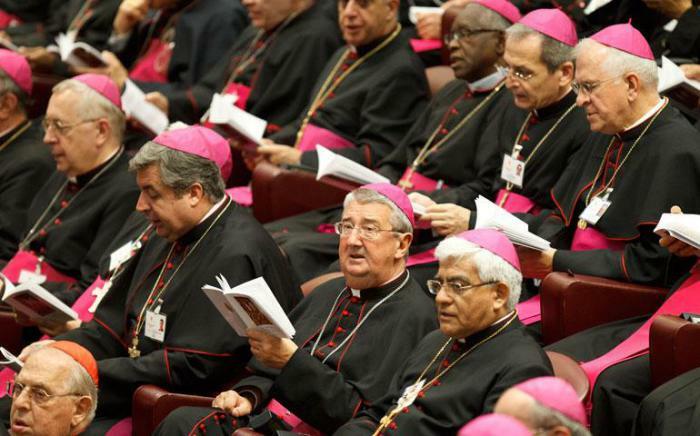 Pontifical Council for the Social Communication, Communio et Progressio 11. Available online at http://www.vatican.va/roman_curia/pontifical_councils/pccs/documents/rc_pc_pccs_doc_23051971_communio_en.html. Accessed 19 August, 2014. Benedict XVI, Address on 12 July, 2009. Available online at http://www.zenit.org/en/articles/church-is-an-expert-in-humanity-says-pope. Accessed 19 August, 2014. Pope Francis, Evangelii Gaudium 251. Pope Francis, Evangelii Gaudium 34. Neil Ormerod, ‘The Laity in the Australian Church’ in Neil Ormerod, et al., Vatican II: Reception and Implementation in the Australian Church (Mulgrave, VIC: Garratt Publishing, 2012), 68. Walter Ong, ‘Yeast as a Parable for Catholic Higher Education’, America (7 April 1990) as cited in Stephen J. McKinney and John Sullivan, Education in a Catholic Perspective (Surrey, England: Ashgate, 2013), 168. My emphasis. Joseph Komonchak, ‘Identity and Mission in Catholic Universities’, 12; available online at https://jakomonchak.files.wordpress.com/2013/08/hubbard-lecture.pdf. Accessed 19 August 2014. Thomas Merton, No Man is an Island (London: Hollis & Carter, 1955), 162. Gaudium et Spes 22. See also the thought of Henri de Lubac who writes, ‘In revealing to us the God who is the end of man, Jesus Christ, the Man-God, reveals us to ourselves, and without him the ultimate foundation of our being would remain an enigma to us’; in Henri de Lubac, ‘The total meaning of man and the world’, Communio 35 (2008: 4), 626-7. Prior to my entry into the Church my experience of Christian campus ministry had been limited to members of the Evangelical Union at the University of Sydney who while dressed in matching t-shirts failed to convince me of the value of organised religion. Hence, my experience of Christian ministry in the university setting is limited to say the least! It was an unexpected privilege, then, to join the campus ministry staff at the Australian Catholic University (ACU) this week for a conference of leaders, and share some thoughts about planning and evangelisation in a tertiary environment. I focused on the context of campus ministry, briefly addressing the critical role of the university within the Church’s life and then identifying some of the challenges for mission in a tertiary environment. Without doubt, the Catholic university retains its significance as a primary way in which young adults can encounter the person, a community and living tradition of Jesus Christ, perhaps with more impact than other institutions. In the late twelfth century, with the emergence of the Cathedral School of Paris – which by 1170 had become the greatest university of Northern Europe, the University of Paris – and with the monasteries shutting their doors to secular students, the Catholic university became a central way by which the Church invigorated the Christian culture of medieval Europe. The university embodied an ideal, a community of learning where the fullness of truth was sought through various branches of knowledge and through which faith became credible to human reason (you can read Blessed John Henry Newman’s The Idea of the University for a deeper consideration of universities as schools of universal knowledge). All in all, the great Catholic universities of Europe were not places for the mere communication of content but were schools for the formation of the human person in the light of truth and wisdom. This ideal, of the university as a place for the formation of the mind and soul, remains relevant for campus ministry today as a counter-image to those who would view or engage with the university only as a form of factory for the training of workers and professionals to serve the economy and the interests of the State. Universities can underline for students that we do not simply do things but are, in fact, called to be someone, that we are persons with a vocation. Our universities can bring the resources of the Catholic intellectual tradition to the living of that vocation in human society. In other words, Catholic universities ought to aim for nothing less than preparing persons to undertake a redemptive role in the world and to bring a Christian perspective to the progress and future of humanity. The culture of our universities ought to incarnate and testify to the fact that faith enriches and deepens our human experience, that faith allows us to encounter life, even suffering, in a new way, and gives direction, purpose and coherence to life. To highlight the importance of the university consider this scenario. We know that young adults are absent from our parishes which remain (often despite themselves!) the basic unit of the Church’s life. Among all young adult Catholics aged 20-34, only 5-6% would attend Mass on any given weekend. In short, for young people parishes are simply not the primary connection they maintain with the Catholic Church today. Even in middle high school, for instance, there are more students involved in church-related activities apart from Mass than would be inside our churches on any given weekend. That is, the connections between students and the Church are not primarily through attending worship but through church-related sporting teams (e.g. a netball or soccer club), a music or drama group, a community welfare or justice group, or a youth group, event or festival. All these attract more youth participation and engagement than the average Catholic liturgy (read the Christian Research Association paper on this subject here – PDF, 1MB). In a similar way, our Catholic universities enjoy more daily contact with more young people in a faith-based environment than our parishes do. Each week, thousands upon thousands of students take part in an explicitly Catholic community of learning whether they have a faith commitment or otherwise. 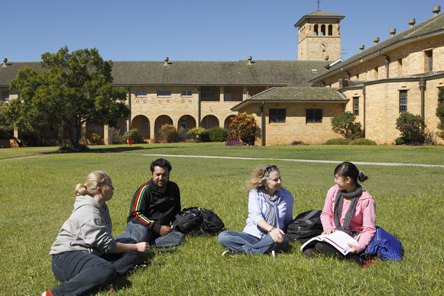 By bringing a strong and articulate tradition of faith to a contemporary culture, by mediating the living experience, culture, and language of Christian faith to young people who may never or are unlikely to darken the door of our parishes, universities can become once more centres of evangelisation. The Pentecostal megachurches are learning in their own mission that they cannot rely on the experience of worship alone. While an experiential emphasis on faith, the professionalism of their worship services, and variety of programs have seen such megachurches enjoy tremendous growth in their first decades, as people come to maturity an overemphasis on individuality and the ever present danger of superficiality can lead to a plateauing of their life. 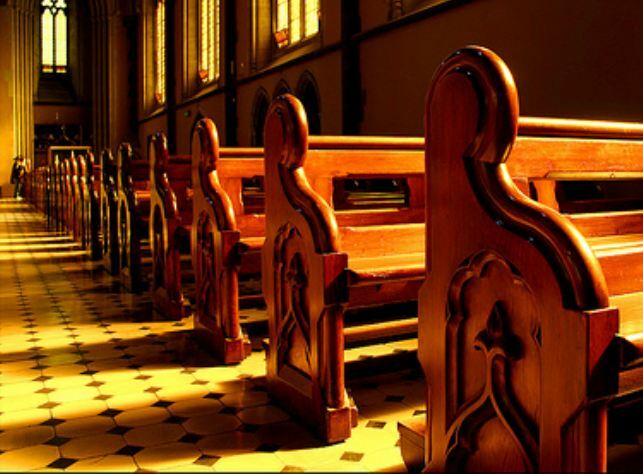 If churches want to ensure their survival over the long term, they must branch into education and social welfare, as Pentecostal churches such as Hillsong have done in recent years and as the Catholic Church has done for centuries. So the importance of the university and university ministry within the breadth or totality of the Church’s mission should not be understated as a way by which the Church meets and shapes contemporary culture. While I have spoken of the ideal of the Catholic university in terms of Christian vocation and identity, this promise is not always so easy to realise. 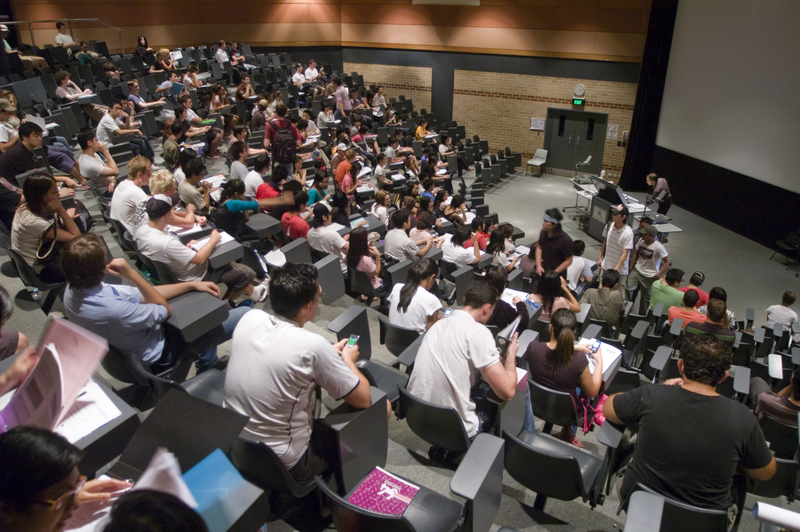 One of the cultural realities for our universities is what has been described as an ‘educational reductionism’ which impacts not only on students but also our staff members. There are at least two principle factors driving this ‘educational reductionism’, which can leave universities as institutions focused on teaching students how to make a living rather than how to live. Firstly, there is materialistic ambition which leads to a conception of the university as solely a means to private wealth and advancement. Secondly, there are the societal-economic expectations that come with government funding of our universities, governments that are concerned with a return on investment and productive citizens rather than necessarily good or virtuous ones. Dear Teacher, I am the victim of a concentration camp. My eyes saw what no one should witness: gas chambers built by learned engineers; children poisoned by educated physicians; infants killed by trained nurses; women and babies shot and burned by high school and college graduates. So, I am suspicious of education. My request is help your students become human. Your efforts must never produce learned monsters, skilled psychopaths, educated Eichmann’s. Reading and writing are important only if they serve to make our children more human. The potential of the Catholic university and campus ministry is to foster a genuine Christian culture of learning and excellence which forms people not to be highly-skilled racketeers but to be moral agents who pursue the common good in the light of faith. It is true that once upon a time, the faith and practice of Catholic families, the surrounding Christian values of the wider community, combined with childhood catechesis followed by sacramental initiation might have been enough to sustain Catholic identity into adulthood for some, even if not all. Even then, it could be intimated that many were perhaps ‘sacramentalised’ without being evangelised. Today we meet second-generation unchurched families and students in our parishes and universities with little memory or familiarity with the faith. This might include the staff members of our universities as well as their student body. It underscores for us that personal and ecclesial faith has never been the mere consequence of having Catholic parents or having attended a Catholic school as much as these may be helps to holiness. Faith is communal and ecclesial but always grounded in a personal decision to live in and for Christ, a decision that cannot be delegated to any other. The university may be one of the last communities of the Gospel within which the riches and dynamism of faith is presented and offered to students who are at their age testing the possibility of any form of commitment in life before they embrace their futures. It is a time when young adults are asking questions about their identity and their future, asking who they are and what to live for. We must offer our students a compelling theological anthropology, a story about who we are under God with significance for our relationships with one another and our vocation in the wider world. The university must connect that perennial, personal search for meaning with the Gospel, a Gospel that opens up the deep dimensions of life and interprets that life with a greater end or teleology in sight. As a learning and research community, the university must connect creation to redemption, nature to grace, culture to covenant so that young adults can take their proper place in the world, not as mere producers and consumers, mere citizens of the State, but as virtuous Christians, saints-in-the-making. 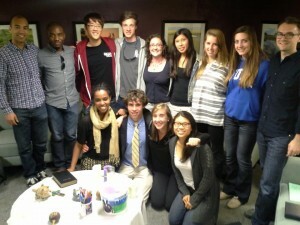 To be Church, to be a community of believers and ministers within a university, is never to withdraw from the complexities of culture but to speak, witness and inhabit this world, a world which is very much in our hands, with a perspective and a commitment that claims to illuminate its depths and heights. As Komonchak continues, it is to insist that the truth and meaning of this world cannot be found in its fullness apart from what God has revealed in Jesus Christ by the Holy Spirit. This is our identity and our mission within the university. Indeed, this proclamation and witness forms our Christian vocation in the wider world. Earlier this week I was privileged to join Bishop Michael McKenna, the clergy and lay leaders of the Diocese of Bathurst for a day focused on pastoral planning. More and more dioceses are recognising the opportunity that pastoral plans represent, not merely to address immediate challenges but also, and more fundamentally, to translate the life of our parishes and dioceses into a new missionary key. While offering no kitbag of ‘silver bullets’ it was good to share what we have learned through achievement and mistakes in developing a pastoral plan in our own urban context in Parramatta. In examining the foundations of Church planning I sought to emphasise that planning processes that begin from a bureaucratic or purely administrative perspective may well produce a document but they will not generate life, they will not foster a greater sense of God’s mission, discipleship or belonging among its people. Authentic planning in the Church cannot be primarily a question of the right structures for a diocese, the right mix of policies or administrative concerns because if flesh-and-blood people and parishes are not growing spiritually in their discipleship, then any structural change a diocese might make is merely a postponement of ongoing decline rather than representing a pro-active and new footing for a 21st century mission. Pastoral plans must focus on generating life and discipleship for mission. Planning processes, through consultation and a sober and public assessment of the facts, are a way of fostering participation, conversation and ownership of a common vision and practical wisdom that will bring about change. 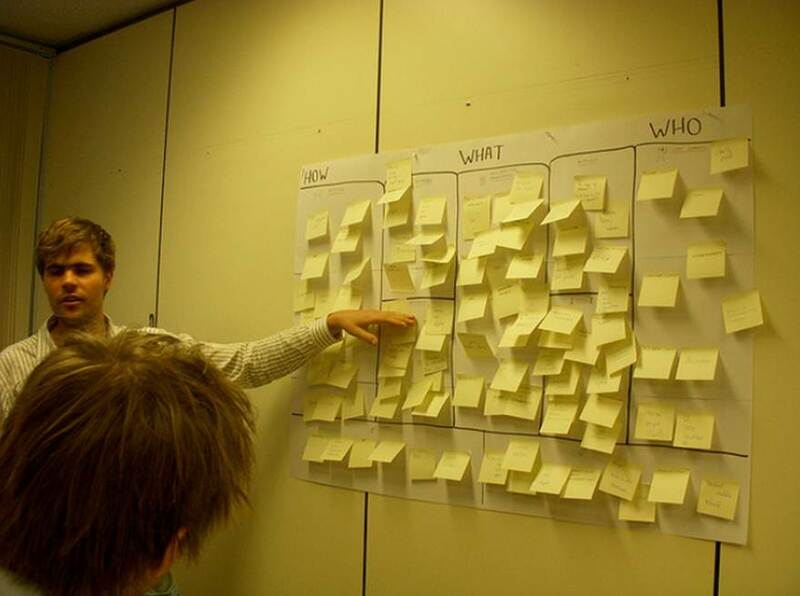 A planning process is a way by which Church leadership can ignite a conversation about the things that matter, challenge views of the Church that are too narrow or complacent, and awaken all people, ordained and lay, to the responsibility to live the change and faith that they would like to see. This primary focus on discipleship and mission is vital because dioceses and parishes do not grow if people don’t. As an outsider I spent some time reflecting on the Diocese of Bathurst as known through research and observation. The diocese was formally established in 1865 and today comprises 19 parishes with other, smaller Eucharistic communities dotted across a vast terrain. There are some 67,877 Catholics in the Diocese (30.7% of the general population) and the average size of parishes is 3,572 Catholics with the sizes ranging from 339 (Eugowra) to 13,709 (Orange). The average percentage Mass attendance rate across the Bathurst Diocese is about 10.5% which is on par with many other dioceses across the country. 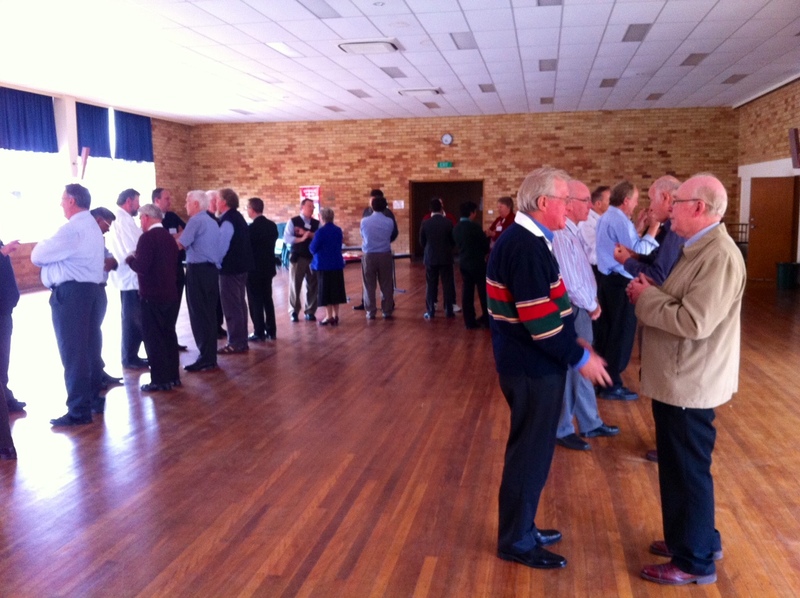 With those other dioceses, the Mass attendance rate in Bathurst is likely to fall under 10% by 2016 which only increases the need for good planning in the years ahead. Distance, of course, is a distinguishing feature of the Bathurst Diocese with its faith communities spread across some 103,600 square kilometres. This is 24 times the size of the Parramatta Diocese which takes in a mere 4,289 square kilometres! Hence, one of the issues that I explored was the response of rural and regional dioceses in Australia and the U.S. to smaller numbers of clergy and parishes, vast distances and limited resources. While not exhaustive, the list below provides some sense of how rural and regional dioceses have led the way in reforming pastoral life and ministries for mission. As Pope Francis has underscored so many times in his pontificate, the prophetic will emerge from the peripheries not the centres which can, in comparison, be rather more complacent and comfortable in the status quo of ecclesial life. Diocesan reconfiguration is the obvious response for rural and regional dioceses to assume in the face of challenging conditions. Amalgamations, twinning and clustering of parishes is a response known to all Australian dioceses (excluding the eparchies and extra-territorial dioceses) though the pastoral fallout of such structural change tends to be less affiliation with the Church among some members as people are simply not willing or even able to travel to identify with a faith community outside their immediate locality. 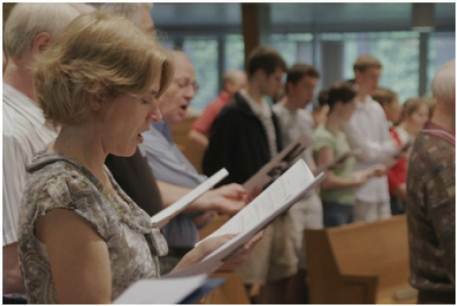 Sunday Worship in the Absence of a Priest is an increasing practice and a legitimate response for many regional and rural dioceses across the world. It is often exercised on alternative weekends when the local priest cannot be present. The Australian norms for this form of worship, promulgated in 2004, are available here in PDF. Accompanying this worship in the absence of a priest is the phenomenon of lay preaching which has developed with vigour in the U.S. Take for instance the rural diocese of Great Falls-Billings in Montana, in the Western United States. Coincidentally, this diocese is about three times the geographic size of Bathurst and contains three times the number of parishes as Bathurst (54 in total) but with the same number of Catholics as Bathurst (around 60,000). Hence Great Falls-Billings has fewer Catholics per parish. 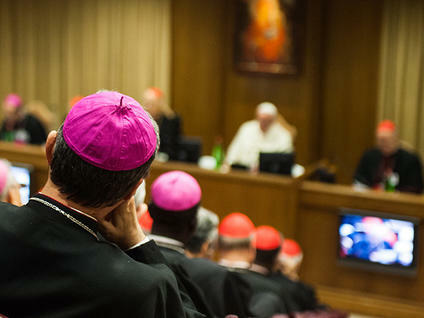 I did not endeavour to explore the complexities of Canon 766 which permits lay preaching in certain circumstances other than to say that the U.S. Bishops’ Conference has authorised each diocesan bishop to decide if a lay person may preach in his or her own words when the Sunday Celebration in the Absence of a Priest is used. 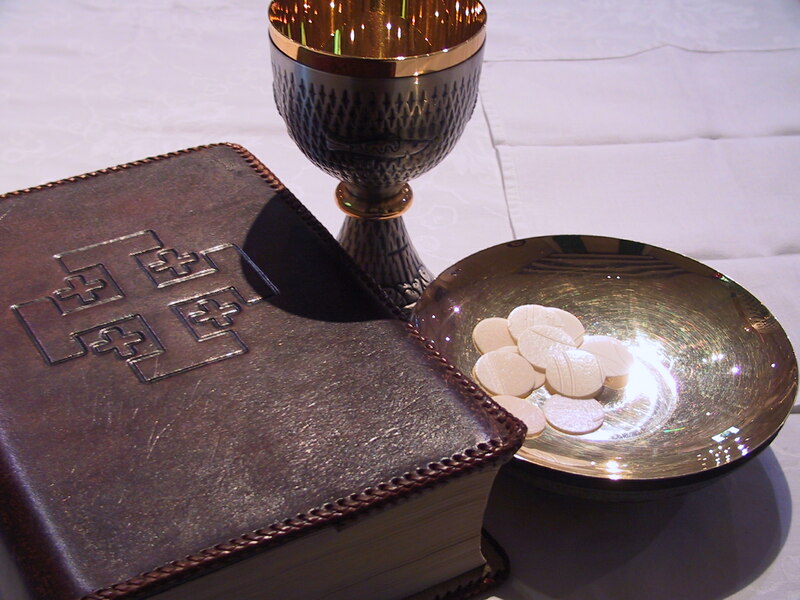 The uneven history of instructions and decrees from Rome on this subject leaves lay preaching as an exception in the Church, as an instruction or testimony at Eucharistic liturgies that is not to be confused with the homily, and altogether more appropriate at non-Eucharistic liturgies. As far as I am aware, no provision exists for such preaching under the mandate of the Australian Catholic Bishops’ Conference and none is envisaged at this time. Reliance on clergy from the developing world is increasingly common and well known in rural and urban contexts, though this brings with it theological, ethical and pastoral issues, including issues pertaining to the inculturation of international priests and justice for the dioceses from which these clergy originate. Deployment of women religious as parish leaders is also a common response both here and the U.S. 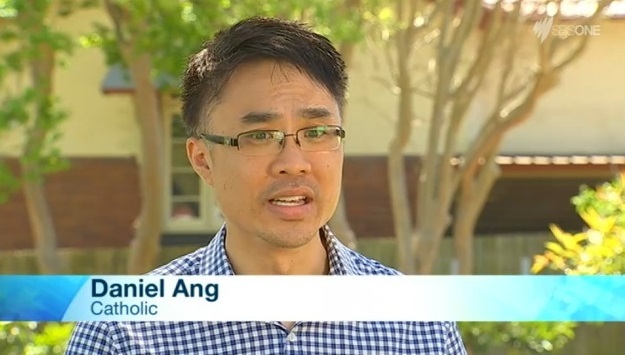 In Canberra-Goulburn a group of parishes known as the ‘Western Mission’ has seen a parish priest reside in one faith community but with canonical appointment in another four small communities. The priest then delegates that jurisdiction to four ‘community leaders’ which have included among them women religious. 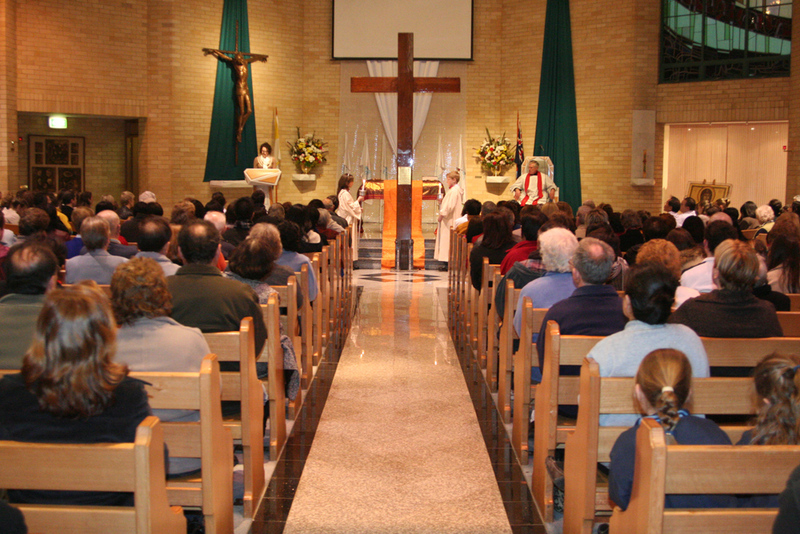 Lay leadership within parishes has been explored in a number of ways here and in the U.S., expressed in multi-parish team structures, coordinating teams of three people (as has been practiced in the dioceses of Ballarat and Sandhurst), deanery communities and the formal appointment of non-ordained pastoral leaders. However, lay leadership of parishes on a day-to-day basis, with the overarching governance and sacramental ministry of clergy, has not yet been systematically or strategically explored by dioceses in Australia. Finally but significantly, in some instances, given that many rural parishes would not be viable without the presence of the school, the absence of a resident priest has seen school leadership exercise a role of spiritual leadership in the local community, with more pastoral significance and recognition of this role than a relatively distant parish priest. In concluding my time with the clergy and lay leaders of Bathurst, I conveyed that while many hours could be spent exploring the pros and cons of these models employed in other dioceses, it would be to a certain extent in vain for what is of greater importance than the actual solution or response that might be decided upon is the process by which such decisions might be arrived at in this local church at this time in its history. Good and effective pastoral plans come into being by a collective exploration of realities and potential, not by a process of map-reading. That is, a pastoral plan will never be truly owned, accepted or generate life among the people of a diocese if it is picked out of the handbook of another diocese or parish altogether different from our own. There is no map or pre-ordained model for the future of our dioceses, including Bathurst. A map can only be drawn or outlined after the local community of faith has wrestled with and chewed over the pastoral realities, personnel and unique features of its context. Regional dioceses in Australia may well arrive at solutions similar to the ones outlined above but if there is a well-designed, consultative process at work, they will have arrived at those same solutions with the support, practical advice and commitment of all rather than the best conjectures of the few. I concluded this privileged time with the Diocese of Bathurst with the encouragement that once people are fully engaged in a local sense of mission, once they have had a wide and unvarnished conversation about the changing needs of clergy and parishes, once there is inspired animation of practicing Catholics through a specific and targeted consultation process on core issues, and once a diocesan vision is agreed upon, then in fact the right or most fitting solutions will begin to suggest themselves. I have no doubt that it is rural and regional dioceses such as Bathurst that will lead the rest of us into new ways of living the perennial Gospel. We will learn much from them and be evangelised by their missionary spirit.